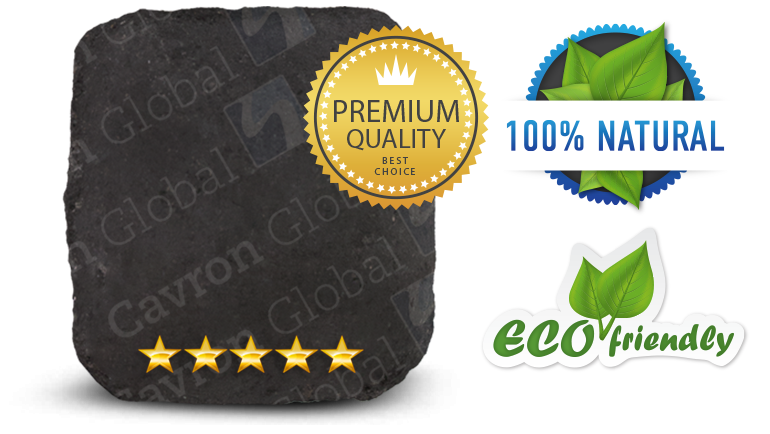 Cavron’s Coconut Charcoal Briquettes are of an extremely high quality and are 100% natural. We do not use any artificial chemicals in our products. The granulated charcoal is mixed with our all-natural tapioca starch to bind the charcoal briquettes – a 100% food grade product made from the plant Manihot Esculenta. Our BBQ briquettes are based on our high-quality carbon granulate from carbonised coconut shells and offer a superior green alternative to regular wood charcoal and fossilised coal. The use of our briquettes is primarily as a fuel source for barbecuing. In other words, with Cavron Coconut Charcoal Briquettes you will know what you are grilling with – we guarantee that our charcoal is clean without any unhealthy, badly tasting chemicals. Drinking water treatment can be accomplished either in centralized water treatment facilities or at individual homes or businesses. In large cities, water treatment facilities treat large volumes of water intended for residential, business, and industrial uses. While the technologies may be fairly standard, such a system may have a host of infrastructure, such as filters, chemical storage, pumps, piping, valves, electrical equipment, and instrumentation. Initial cost is typically high. They may also require water source development, construction of infrastructure, and adoption of a system to distribute the water to consumers. In most developing countries, these systems may be financially out of reach for smaller or poorer communities. 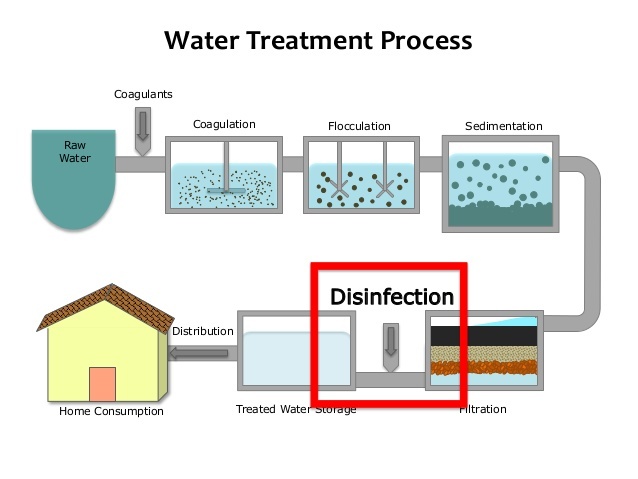 Smaller communities can reduce costs by using pre-engineered “package plants.” Most package plants designed to provide water filtration are typically not equipped for disinfection, corrosion control, or adsorption of organic contaminants by granular activated carbon. Where community treatment plants are not available or are not trustworthy, water treatment becomes a more individual choice. Point-of-use and point-of-entry water treatment systems are widely used in individual homes and businesses. In poorer areas, where there are significant deficiencies in financial resources and technical skills, point-of-use and point-of-entry may be the only treatment options. Point-of-use systems are typically installed where water is used for drinking and cooking, such as on the kitchen faucet. Point-of-entry systems, in contrast, are installed where water enters a building and treat all water to be used for any purpose at that location. Systems exist that can treat a number of contaminants including primarily aesthetic concerns (e.g., color and odor). We tend to think of air pollution as something outside — smog, ozone, or haze hanging in the air, especially in summer. But the truth is, the air indoors can be more polluted than the air outside. The air inside your home may be polluted by lead, formaldehyde, radon, or even volatile chemicals from fragrances used in conventional cleaners. Children, people with asthma, and the elderly may be especially sensitive to indoor pollutants. Chemicals and allergens can accumulate in household dust for decades. By using a vacuum with a HEPA filter you can reduce concentrations of lead in your home. You can also get rid of other toxins as well as allergens like pollen, pet dander, and dust mites. A HEPA filter ensures that dust and dirt won’t get blown back out in the exhaust. In high traffic areas, vacuum the same spot several times. Don’t forget walls and carpet edges, where dust accumulates. For best results, vacuum two or more times each week and wash out your filter regularly. Dust mites and mold love moisture. Keeping humidity around 30%-50% helps keep them and other allergens under control. A dehumidifier (and air conditioner during summer months) helps reduce moisture in indoor air and effectively controls allergens, Lang says. An air conditioner also reduces indoor pollen count — another plus for allergy-sufferers. Perhaps the most important aspect of indoor air pollution is secondhand cigarette smoke. Cigarette smoke contains more than 4,000 chemicals. For the smoker, this addiction causes cancer, breathing problems, heart attacks, and stroke. Secondhand smoke will also increase a child’s risk of developing ear and respiratory infections, asthma, cancer, and sudden infant death syndrome (SIDS). Indonesia is an important producer of coconuts in the world. 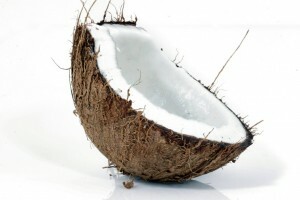 Despite the mass production of coconuts, application of the coconut is still generally limited to the fruit of copra, and coconut oil for home use. Other by-products such as coconut shells are usually treated as wastes and not fully utilized. 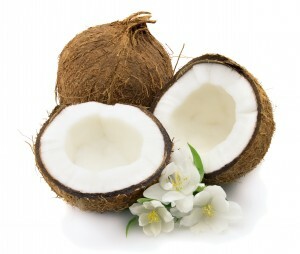 Indeed, the weight of the shell reaches 12% of the weight of the coconuts. With this, we can see a big potential of such a large shell production for productive activities that can increase the value added. One of the products made from coconut shell is the coconut charcoal briquettes. These are very green products because no trees are cut down and the waste that would otherwise be thrown away is now processed to be sustainable natural resources. Amazingly, compared to other conventional charcoal made by wood or coal, coconut charcoal briquettes have distinctive advantages, which make them more popular in the world market. Among these, coconut charcoal burns hotter and longer that makes it especially perfect for slow grilling. There’s no added chemical on the charcoal, so everyone gets a clean burn. It is more like grilling with real wood rather than charcoal briquettes. The smell of the charcoal is rather neutral other than just having a grilling smoke smell with the foods. Coconut charcoal briquettes are also reusable. When finished grilling the meal, the remaining charcoal can be used as a bottom or base for the next grill out. The coconut charcoal definitely has staying power. Availability may be an issue in some areas, but it will never be the problem in Indonesia. 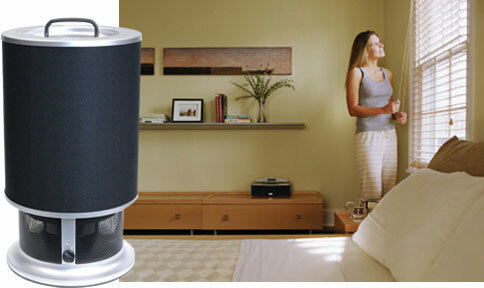 Question: What portable indoor air purifier should I buy to remove air pollution inside my home? I want to use the air filters to reduce my wife’s suffering from multiple chemical sensitivity. Response: If your wife spends most of her time at home in one or two rooms, then placing a suitable portable air cleaner near her in each room should help reduce particle levels – and thus improve the indoor air quality. If she spends time at home in many rooms or your home has an open floor plan, portable air cleaners may not be the best solution. You may want to look at other possible solutions, such as a whole house air cleaning system. Efficiency. Most portable air cleaners use a filter to remove dust and other particles from air that is moved through the filter by a fan. The efficiency of the filter is the fraction of particles removed by the filter. The best performing portable air cleaners have HEPA-grade efficiency, meaning that they remove at least 99.97% of 0.3 micron particles from the air that passes through them. Continue to Part 2 to understand more about portable air cleaners. 750 million people around the globe are lacking in safe drinking water, and nearly all of them in the developing countries. 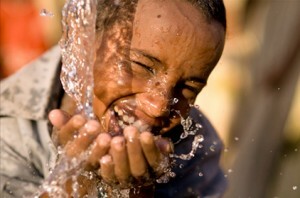 Africa is the region that lacks water the most. Insufficient water supply brings a huge health impact, as it kills lives. Clean water is getting scarce, when nearly a third of the world’s population live in water-stressed areas. Meanwhile, the number of people becoming aware of risks of drinking contaminated water is increasing. What should we do, and what can we do to secure this scarce resource? Water filters will give you unimaginable solutions to this problem. A water filter can effectively remove impurities, as well as unpleasant odour from the water. By far the most common type of water filters are those based on absorption, most of which use activated carbon. activated carbon filters can effectively trap contaminants, and eliminate odour in the water. They are high absorbent sponges, removing larger particles like sediment and silt from the water, so they’re no longer present in your consuming liquid. And of course, activated carbon filters will also make sure the end result has less odour and let the water tastes real. This is because they reduce the amount of chlorine and other contaminants that can make your water smell unpleasant. Be sure that you are selecting the right activated carbon filters from the selling racks? First, we should choose the water filter which activated carbons are made by good source materials. 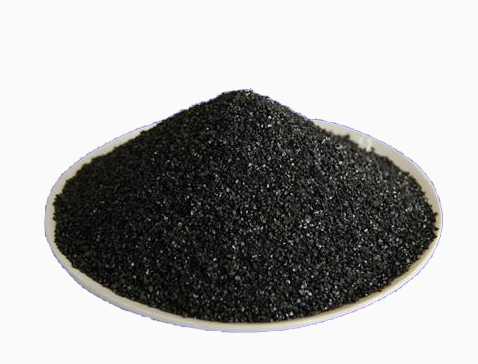 There are several types of source materials for producing activated carbon such as coal, wood, coconut shells and peats, among them, coconut shells stand out. Coconut shell-based carbons tend to be harder and thus more resistant to abrasion. They also have very effective adsorbing capacities, and show superior removal performance in catalytic applications, such as drinking water treatment. We also need to choose a filter manufacturer that has its own carbon production facility, so that the quality of carbons is controlled and reliable. Your body is about 70 percent water, and these tiny molecules of H20 are important for every biological functioning inside our body. Bear this in mind as you make decisions about securing clean water for you and your loved ones. So you want to know about odour control in the grow room. This is just a list of the things you can use to control the odour. Ideally, use a 2-prong approach for the best results. This entails running an ozone generator and an exhaust fan with a carbon filter. There are several ways to run the carbon filter. First, pre-exhaust the area where you need to exhaust heat (and/or humidity) from the grow room. In this setup, the carbon filter goes into the grow room, where air is drawn first through the filter, then exhausted out of the room. The size of the filter has to be matched to the size of the fan so that the air going through the filter has enough contact time with the carbon to do the thing. If you pump the air through the filter too fast, the carbon can’t do it’s job. So, based upon the amount of heat you’re going to remove, you first determine the necessary fan size, then pick the correct filter for the fan. Don’t confuse with the order. With the right fan/filter combo, all of the air being exhausted will be clean enough to blow directly outside (or into your house in the winter to utilize the heat and high quality oxygen rich air). The other way to run a carbon filter is to simply connect the fan to the filter and put it into the area that you’re concerned about with no ducting. In this way, a larger fan with more air movement can be used because the air is being repeatedly drawn through the carbon filter. With this approach, the larger the filter and fan you choose the better. Ozone use for odour control has a debate of pros and con’s, but one of the benefits is that it kills bacteria, not only in the growroom, but in the exhaust fan and carbon filter. So, if you’ve got an ozone generator treating the air in the room before it enters the carbon filter, it will kill the bacteria that can shorten the life of the carbon. This dual approach, using ozone and carbon filter to deal with your organic fertilizer odour issues is probably the best overall approach.